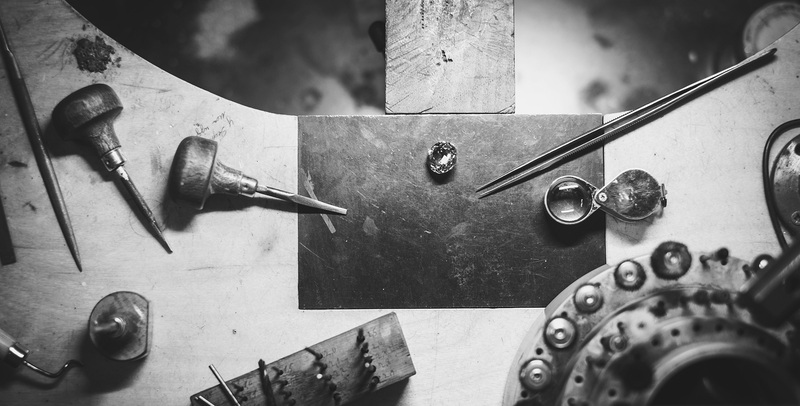 We offer a variety of services to meet your jewellery needs. No appointment necessary. We use 3D CAD software to conceptualize and create your dream piece of jewellery. We then use our 3D printer to print your model so that it can be verified before being cast. We can modify or adjust any components of your piece as you sit and design with us. We handle all sorts of repairs – from resizing a ring, to repairing broken parts, re-cutting and polishing gemstones, or restringing pearls. We have very talented jewellers who can bring your pieces back to life. We have 2 on-site Graduate Gemologists who studied at the GIA (Gemological Institute of America) and a gem lab. We have decades of experience as appraisers, and can evaluate your jewellery for you. We purchase estate jewellery and watches. Bring in your pieces, let us evaluate them, and we will make you a fair and competitive offer. We can quickly restore your pieces to their original beauty, and make them look brand new again. With a quick cleaning, and polishing, and checking your stones to make sure they are still secure, you can enjoy your pieces again as if they were brand new. As trends come and go, so does our taste in jewellery. Don’t store your pieces away and forget about them simply because you no longer like the look of them. Bring in your pieces, and we will help you redesign, and give your precious pieces a new look that you will be sure to love again for many more years.